Burial catacombs preserving a baby mummy in perfect conditions and other 7999 in Palermo. 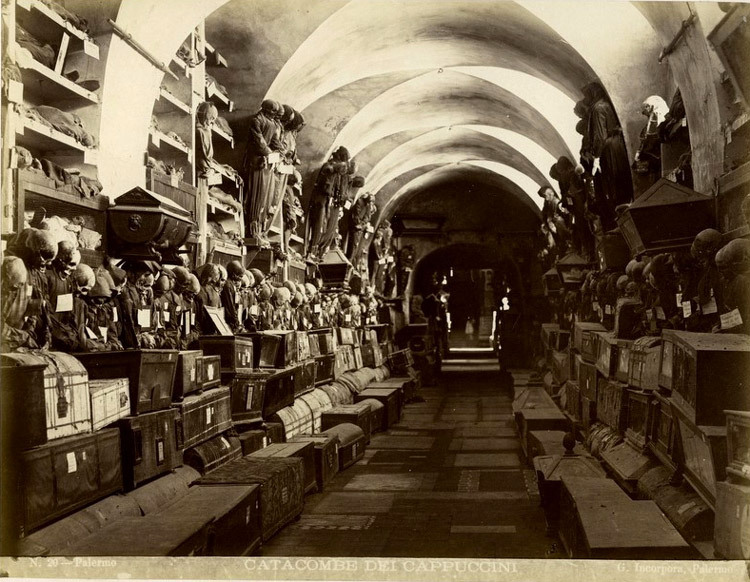 Catacombs of the Capuchins are burial catacombs in Palermo. Palermo’s Capuchin monastery outgrew its original cemetery in the 16th century and monks began to excavate crypts below it. 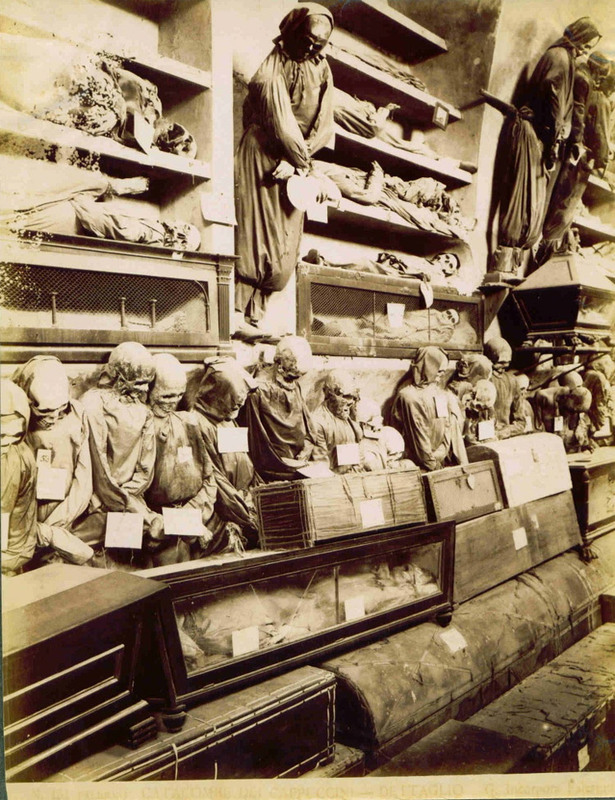 Bodies were dehydrated on the racks of ceramic pipes in the catacombs and sometimes later washed with vinegar. 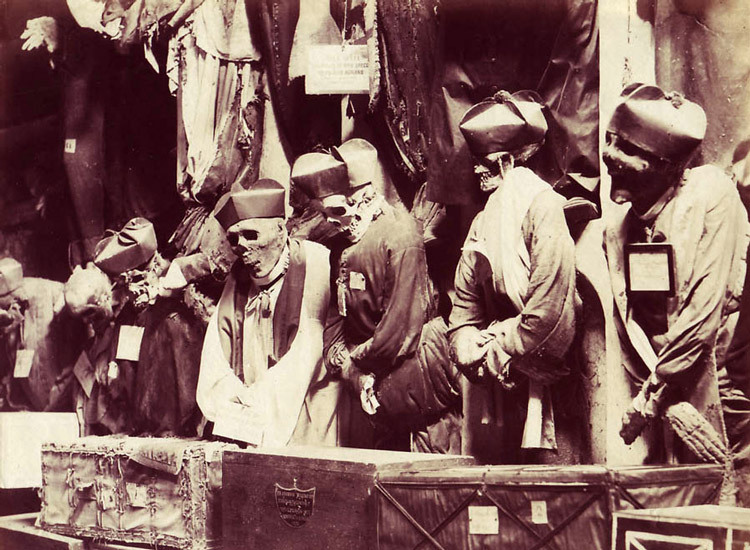 Some of the bodies were embalmed and others enclosed in sealed glass cabinets. Catacombs contain about 8000 mummies. The halls are divided into categories: Men, Women, Virgins, Children, Priests, Monks, and Professionals. Some bodies are better preserved than others. Some are set in poses; for example, two children are sitting together in a rocking chair. 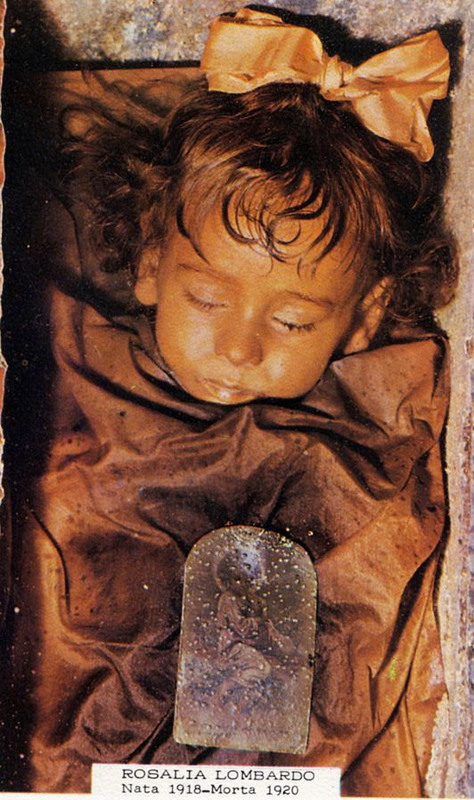 Rosalia was an Italian child who died in 1918 in Palermo. Mario, her father, approached Alfredo Salafia, embalmer and taxidermist, to preserve her. Thanks to Salafia, the body was well preserved. Further analysis of the body show that all the organs are intact. Her body is kept in a small chapel placed on a wooden pedestal. Salafia replaced Rosalia blood with a liquid made of formalin, alcohol, glycerin, salicylic acid and zinc.